Just a quick heads up. Have just inspected the original ZL-1 engine block to car #40. Has been in the Baltimore area for the past 37 years. Also have some original paperwork on the car. This is the real deal, standard bore and never blown up. Here's the website for ZL-1 car #40. You might want to email him/her and let them know you have found their original engine and paperwork. I'm sure they would be interested in it based on the details they provide in their website. P.S. I think you might already know him! Correct! The owner of Heartbeat City himself. The good news is, he can afford to buy it! Nowhere on that resto page does it say that #40 ZL-1 has, or does not have its original block. I'm just wondering if this car was reported to have its original engine? Anyone know? Don't know but it's an interesting story on the car. F. Gibb sent it back. Car was then shipped to Sport Chevrolet in Silver Spring, MD. This dealer is still in business. I looked at new Chevelles there when I got out of HS in 1969!!! Sport DX'ed it to Lustine Chevrolet in Hyattsville, MD where it was sold new to a 59 year old man. Wow! Talk about a mid-life crisis, 59 years old with 500 horsepower!! The car was found without its org. engine.The owner before HBC found the engine at a mach. shop back east but could not convince the owner that it was the engine that belonged in his car.Louie(the owner before jim) found a complete ZL1 for the car which went with it at time of sale.All the other org. running gear was in the car,along with the org. paint and inter. If i remember right,Louie had offered the complete ZL1 and cash to the guy for the org. engine.There was also a big legal battle on this car that went to court. When Louie started a background check on the car , one of the prev. owners stated that the car was stolen from him! As it tuns out it wasnt, from what i understand, that prev. owner left the car at a repair shop and never picked it up.The shop leaned the title and it was now theres. It did not have the alum. block in it at that time. I dont think the owner or shop knew what it was at that time. This car is one that was sold new with its original engine. Many were not. The sale price on the original title work shows that it was discounted to about $6200. Please clarify your comment. What do you mean many ZL-1's were sold new without their original engines? Who would have paid the price of a ZL-1 and not gotten the original aliminum engine back in the day? Some of the ZL1s were sold without the original engine because dealers could not sell the cars. Perspective buyers could not get insurance. I can speak frist hand about this because I did buy a new 375 horse Chevelle. My insurance company would not insure me. In those days, kids buying the cars had to get their dad to put the car in their name. And that's what I had to do. Technically, my dad was the owner of my Chevelle until I was old enough to afford the insurance. Many ZL1s sat around way into the 1970 model year. Jerry's Chevrolet, (Jerry Govans back then) had a ZL1 that they could not sell. A.D. Anderson......same thing. Both were there after I graduated high school. 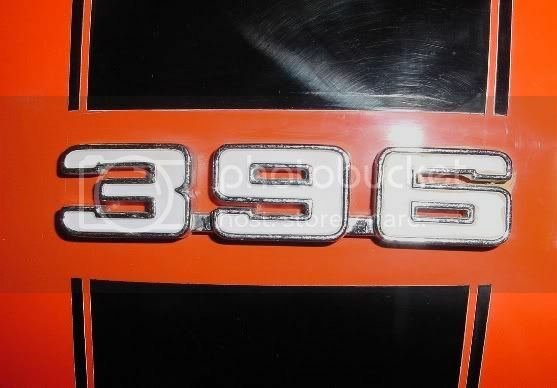 In order to reduce the selling price, some dealers removed the aluminum engine and installed 396s. I'm amazed at how the ZL-1 program didn't quite hit the mark. I wonder if any heads rolled for this or if it had a negitive impact on future SHP programs @ GM. Can you imagine removing an aluminum engine and transplanting a regular old ( forgive me ) 396-375hp engine in its place? How sad that must have been. So if I am following this correctly...., the original owner who bought #40 was born before World War #1 and 7 years after the Wright Bothers made their flight down in Kitty Hawk ? Man that is pretty cool. Jerry, I thought the selling dealer was Sport and they had got it from Lustine after it was returned from Gibb. One of the guys at Sport who still works there today was there back then and I thought I understood from him that was the case. Not so, I have the MSO and original title work on the car. Was shipped to Sport on June 25, 1969, it was transferred to Lustine on August 7, and sold on Nov 25, 1969. It appears that at least two cars were shipped to Sport and another delivered to Lowe was sold at Sport. In reference to the car sold at Govans Chevrolet (earlier dealer name), actually it was called "Jerry's Govans Chevrolet" to be technically correct during this time period, this car sat around until at least 1970 or so. I was a regular visitor there during 68 and 69. Many, many HP cars sold through that dealership!!! All this makes for a good soap opera. Thanks for the info Jerry. I had not seen the paperwork and docs. I'll pass that info along to Robert so he can get his facts correct. You're right about the soap opera aspect. It's going to be interesting to see what happens next. Do you know why the original motor was pulled and left behind when the car changed hands? Don't know all the facts. Only that the oem engine was taken to a very well known machine shop in the Baltimore suberbs and exchanged or something. Too many years have gone by to know for sure but this engine has been in one place for the past 36 or 37 years. Jerry, sent you a PM. Coleman Brothers was the machine shop. They were the state of the art machine shop during that period in the Baltimore Wash DC region. What's interesting is the engine stamping photo is real to the car but I don't think that HBC ever purchsed the block from my buddy who bought it from Bill Coleman. Interesting. Once you have the bug it never goes away...you'll see!